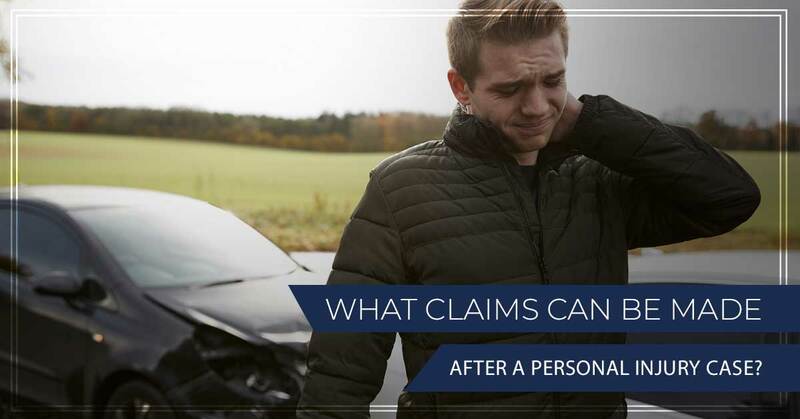 Personal Injury Lawyer Tulsa: What Claims Can Be Made After a Personal Injury Case? When you’ve been injured in an accident that wasn’t your fault, it can be an overwhelming moment to drive to the hospital and receive the care that you need. There are endless bills that will pile up, time off work that you’ll need to account for, and so much more. When this is the reality that you have to face, find relief in a personal injury lawyer that can ensure you’re granted the assistance that you deserve. If you’ve never been in this type of situation before (and we sure hope you haven’t), keep reading. We’re going to dive into a few of the claims that you can make when working with a lawyer so that you can get the compensation that you’re deserving of. Having to pay unexpected medical bills is easily one of the most overwhelming parts of an accident that you didn’t cause. Whether it’s bills from the hospital, chiropractor, pharmacy, or another medical facility that you had to visit, it’s not too difficult for these bills to add up. And, when you have to come up with hundreds to thousands of dollars that you hadn’t anticipated needing, you can wind up in a bad financial situation. While our team entirely understands how you feel when handling these circumstances, the billing departments from most medical facilities aren’t as empathetic. Most unpaid medical bills get sent to a collections company within 30-days of not being paid. At the end of the day, the accident that wasn’t your fault has now become a financial fiasco. The good news is that medical bills are one of the claims that you can make in a personal injury case. With the right personal injury lawyer, you can ensure that you’re compensated for any bills that you received because of the accident. This includes immediate medical assistance as well as future care that you need to receive because of injuries that happened during the incident. If the accident that you’ve been in required you to take time off work, you can make a claim to be compensated for any lost wages. We just finished talking about medical bills and how easy it is for them to pile up. If that’s not stressful enough, the time spent recovering from a personal injury accident can require time off work resulting in lost wages. As a whole, the financial aspect of this injury can be daunting — but it doesn’t have to be. Let your lawyers fight for compensation of any wages that you’ve lost in your recovery time. One of the more complicated areas to get compensation for is going to be pain and suffering. Whether it’s considerable pain or emotional suffering that you’re struggling with, you should be compensated for any damage caused by the accident. What most people don’t know is that you can also be compensated for any future pain or suffering that you have to deal with down the road. In order for you to receive compensation for your pain and suffering, you are going to need to visit with a physician that can provide a testimony for your case. While some of the pain that you’re suffering might be emotional or mental, there are many instances where the pain endured is very much physical. Disability and physical impairment are two instances where you can receive compensation both for the injuries in themselves but also for the effect it has on your lifestyle. In these cases, you are going to need a lawyer that has experience with personal injury cases to inspect the factors of the accident and how they led to the injuries. If you were taking all of the necessary precautions (i.e., wearing your seatbelt, following guidelines, etc. ), then there’s a good chance that you’ll receive some compensation from the responsible party. The team at The Edwards Law Firm offers the guidance that you need when dealing with a personal injury case. We are dedicated to providing you with the compensation that you deserve for an accident that you didn’t cause. Contact our team today to start making moves on your personal injury case.